Recreational activities: nice garden with chairs and deckchairs. Room cleaning and linen change: Prices include bed and toilet linen furniture. Daily cleaning of the room guaranteed if vacated by 11.00. Towels change every 3 days. Towels changed daily on request (5 euro extra). Bed linen change weekly. Extra charge of 20 euro is requested for final cleaning of the apartment..
BIKE facilities: it is available a bike deposit and all necessary to repair bikes. Recreational activities at request: it is possible to rent mountain bikes to make excursions or to have long walks in the hills. with a guide. 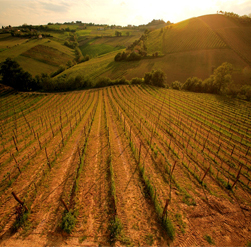 It can be arranged , with low prices, tours with a guide in the Piceno hills, visiting Ascoli Piceno, Monti Sibillini National Park and visiting other wineries of the area. Horse riding-school nearby (3 km). In our estate, besides the service of breakfast, it is possible to organize, previous booking, for groups of people and for our guests, tasting of Biological Organic Wines and Oil of our production, snacks and appetizers of products typical of the Piceno territory and of our farm. We offer also the possibility of visiting the winery and to have a beautiful walk in the organic vineyards and olive fields of the estate. 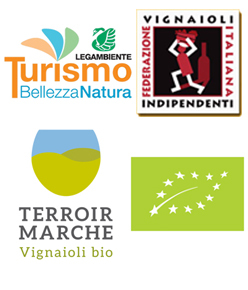 The agriturismo Fiorano will suggest you some restaurant with honest prices situated nearby in the territory. Some examples. 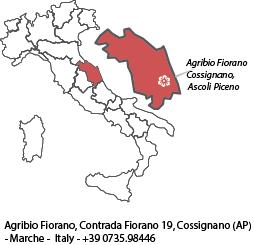 The agriturismo Fonte Orfeo (800 m, reachable also by walking) offers typical dishes of Piceno (tagliolini di Campofilone, grigliate mist, stoccafisso con palate, olive ascolane, agnello). At “Enoteca Castello di Marte” in the beautiful village of Cossignano (2.5 km) you can taste dishes such as tagliatelle alla salsiccia and fungi, maccheroncini con rigaglie, fritter mist all’ascolana, agnello al forgo, pollo alla marengo, coniglio alle olive and different dishes with vegetables. The “Ophis Restaurant” is located at Offida, historic centre of Piceno (7 km) and offers, in a very nice place, typical dishes of Marche region. Finally, in the beautiful liberty centre of Grottammare (15 km), you can have dinner on the beach at the Ciaschì Restaurant, were the chef Antonio prepares high quality sea food.